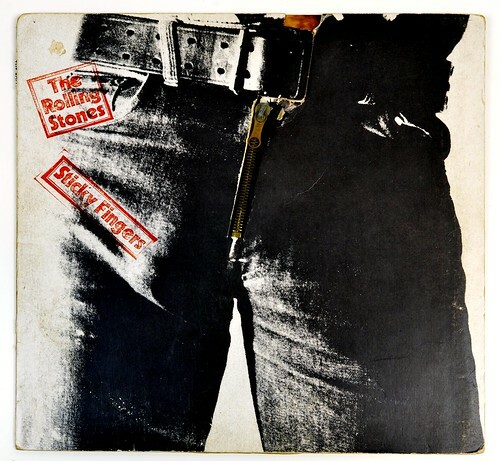 “Sticky Fingers” is the ninth British and eleventh American studio album by English rock band The Rolling Stones, released in April 1971. It is the band’s first album of the 1970s and its first release on the band’s newly-formed label, Rolling Stones Records, after having been contracted since 1963 with Decca Records in the UK and London Records in the US. It is also Mick Taylor’s first full-length appearance on a Rolling Stones album, and the first not to feature any contributions from founding guitarist Brian Jones. This entry was posted in Blues Rock, Rock Music, Vinyl Records and tagged Rolling Stones on January 30, 2019 by vinylmeister. 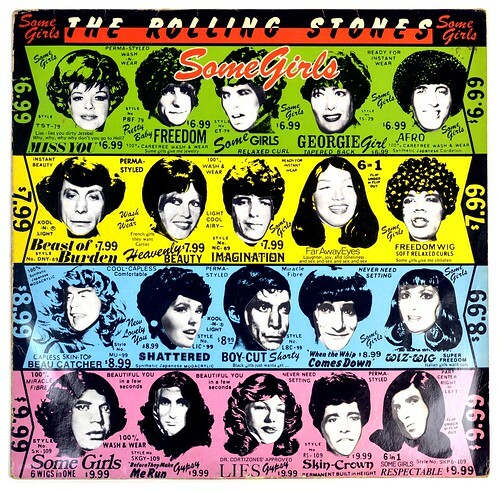 “Some Girls” is the 14th official full length album, released by the British rock band: “The Rolling Stones”. 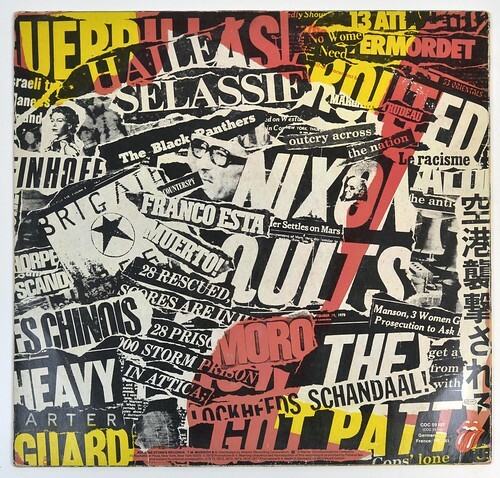 The album cover for “Some Girls” was conceived and designed by Peter Corriston, who would design the next three album covers, with illustrations by Hubert Kretzschmar. An elaborate die-cut design, with the colours on the sleeves varying in different markets, it featured the Rolling Stones’ faces alongside those of select female celebrities inserted into a copy of an old Valmor Products Corporation advertisement. “Time Waits for No One: Anthology 1971–1977” is a compilation album of the British Rock band “The Rolling Stones” and was released in the year 1979. This is a special edition from the Netherlands and was released as part of a special series of vinyl albums to celebrate the hundred years of recorded music 1877-1977. This entry was posted in Blues Rock, Rock Music, Vinyl Records and tagged Rolling Stones, Special Edition on January 30, 2019 by vinylmeister. 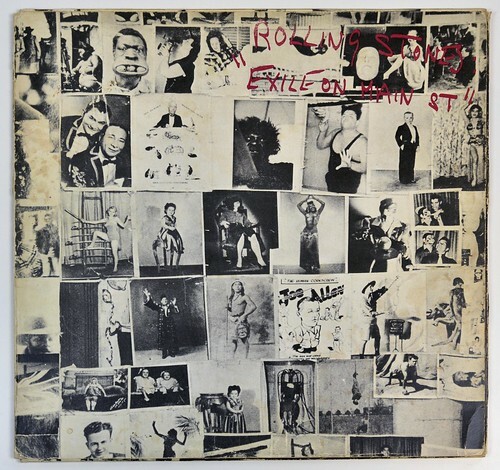 “Exile On Main Street” is the 10th official full length album released by the British Rock band “The Rolling Stones”. This album was released in the year 1972 and contains two vinyl lp’s and custom designed inner sleeves. This entry was posted in Blues Rock, Rock Music, Vinyl Records and tagged Rolling Stones on January 29, 2019 by vinylmeister. 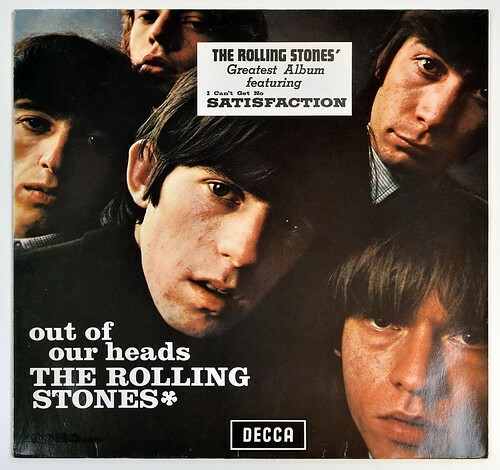 “Out of Our Heads” is The Rolling Stones’ third British album and their fourth in the United States. It has significant track listing and album cover differences between territories. Its a new Rolling Stones album, strictly out of their heads, and out of those five extremely talented heads come twelve great new sides recorded in London, Chicago and Hollywood. From Chicago come the Otis Redding songs, -That’s how strong my love is,” “Have mercy,” and the Stones’ own tribute to the backroom boys of the music business, entitled, “The under assistant West Coast promotion man.” From Hollywood, comes the Marvin Gaye opus, -Hitch hike.” Then there are smash singles, “The last time” and Satisfaction,” “Play with fire,” and two from Mick and Keith, “The spider and the fly” and “One more try”. The boys have included a great Solomon Burke ballad, “Cry to me.” The last outing from Hollywood is by way of a tribute to Sam Cooke, who was one of the greatest talents to emerge in the rock.n*roll era. 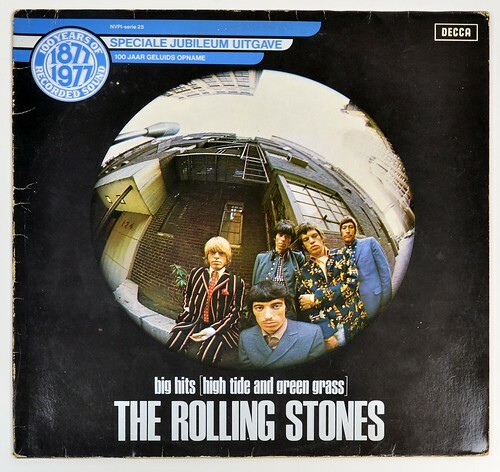 The Stones have given a great treatment to Sam’s “Good times.- Last, but not least, from London, we have included a number recorded during a Rolling Stones Concert Tour of Great Britain, a great live rendition of their own composition, “I’m all right”- We hope that this album gets you out of your heads listening to it, as we got making it. This entry was posted in Blues Rock, Rock Music, Vinyl Records and tagged Decca, Rolling Stones on January 28, 2019 by vinylmeister. 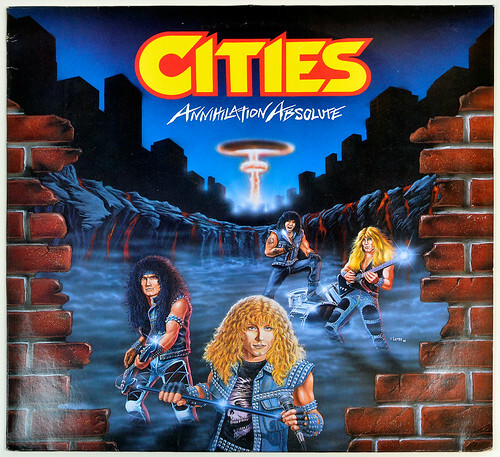 CITIES was a Heavy / Power Metal band from New York City, this band has been active from 1985 until 1986. During this period they have released two official records, in 1985 the released the EP “Annihilation Absolute” and in 1986 an LP with the same name was released. “Annihilation Absolute” has been recorded 3 July until 4 September 1986 at Systems Two, Brooklyn, N.Y. and is the only full-length record by the American Metal band: CITIES. Ralph Bland, Jr. an American Graphic Design during the 1980s he has design album covers for the bands like: Cities, Cryptic Slaughter, Heretic, Masi, Sacred Reich and others. This entry was posted in Heavy Metal, Speed / Thrash Metal, Vinyl Records and tagged Cities, Rare Vinyl on January 28, 2019 by vinylmeister.